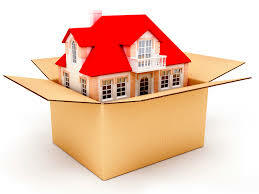 For Relocation of house and office no need to go further we provide you hassle free move with complete peace of mind. We are professional skilled team to do the job call Shreeji Packers and Movers. Give your stress to us of relocation with 10% less quote then other. Corporate relocation services for global companies in today's competitive environment need to be customized in their approach to modern workforce mobility challenges.Relocation services, employee relocation or workforce mobility include a range of internal business processes to transfer employees, their families, and/or entire departments of a business to a new location. Like other types of employee benefits, these processes are usually administered by human resources specialists within a corporation.Our key services relating to schooling, home sale and household goods moving provide the support you need for all your domestic employee transfers throughout Chandigarh. We provide personalized home relocation services in worldwide. Household goods involves the shifting of all items like glass items, paintings, almirah, electronic equipments and oven, ranging from old one to a new one,ODC Consignment and all type of Logistics services. We are provide the safe and camapring officially office relocated service 24/7* services. Time safe and all work do safe packing loading and give the all types services are provided. Proper warehousing facilities are available with the company. Safety and security are well kept in mind. The warehousing location is well selected so that it compliments the subsequent required procedures like loading and unloading. Our warehouses in various parts of the country are well guarded and spacious ensuring complete safety of your goods.